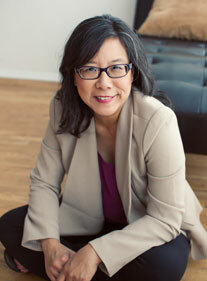 I’m Carolyn Ou, founder of Sandbox Consulting and an Executive/Leadership coach. Since 2003, I’ve been coaching new leaders, creatives, entrepreneurs and students towards achieving their work and life goals. What I love most is working with people who are ready to play big in their life and work, people who want to define that bigness in a way that is aligned with who they are, people like you who are finally ready to get out of their heads and into action around their most important goals. And rather than tell a person what I think they should do, I partner with my clients to clarify who they are at the core, map out where they want to go, and create a plan to make it happen. We dig, we dream, ask tough questions, sing, dance, draw, rage and explore together. Then we figure out how to make it happen in a way that’s simple, achievable and energizing. I deliver this experience via webinar and in-person, to individuals and groups. And if you're interested in catching me live, check out some of the events that are going on IN THE SANDBOX this season! In creating Sandbox Consulting, I was inspired by the sandbox as a place where everyone can create and explore without fear of the results, and in doing so enjoy the process. My goal as a coach is to always bring some of that simplicity, clarity, and creativity to my clients in their daily work and life. If you want to explore how you can use coaching to make the most out of your life and work, keep reading, or contact me to schedule a sample session. Discounts available for Brown University Alumni via the Executive/Career Coaching Program. After 25 years of working in marketing, my career was in a real slump. I was hopping from job to job wthout direction or any enthusiasm for what I was doing. I felt as though my best days were behind me, and I should accept whatever position came my way... Results came right after the first session. Carolyn is extremely perceptive and offered excellent advice and guidance. I felt as though she had known me for years, even though we had never met before. By the end of session two, my self-doubts were diminishing and I gained a sense of confidence again. Just like a car that needs a tune-up from time to time, so does the human psyche. If you feel as though your career or your life is in an endless rut, I highly recommend contacting Carolyn for a mental tune-up that will last many years. Medill Reports Chicago: "Wicker Park startup says quit your job"